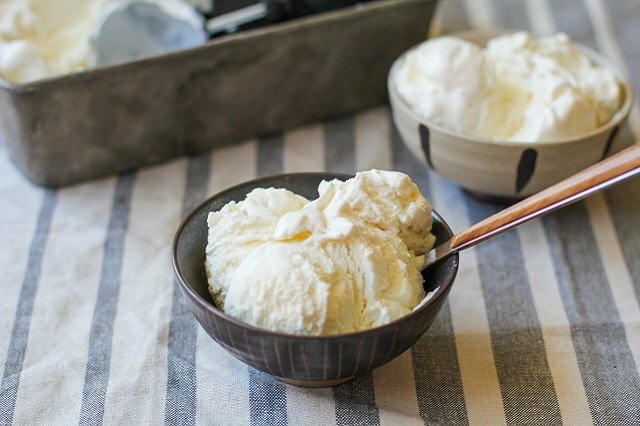 This egg-free, hassle-free approach to making classic vanilla ice cream takes hardly any time at all, and you can make it with or without an ice cream maker. 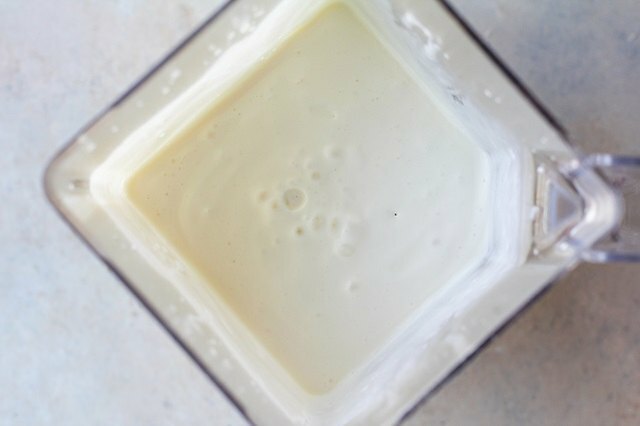 While many recipes require you to heat milk and temper eggs in order to make a custard-like ice cream base, we can skip that process by using condensed milk. 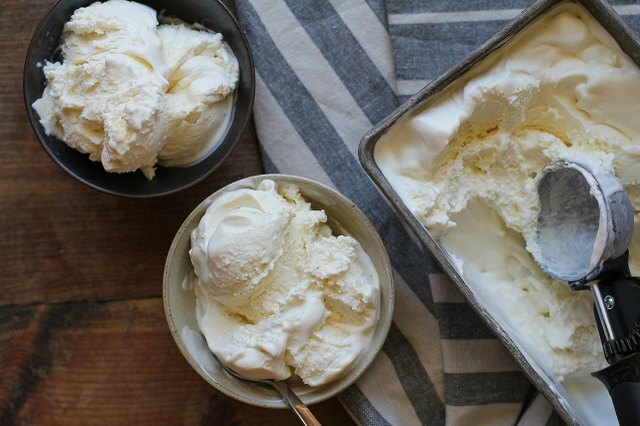 The ice cream turns out light, creamy, flavorful, soft, and fluffy - just like your favorite store-bought vanilla. 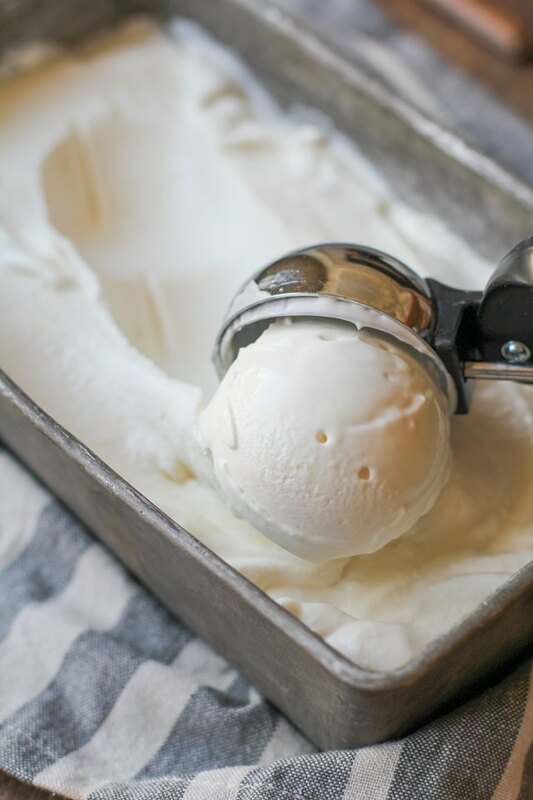 Make this decadent 3-ingredient vanilla ice cream in just a few easy steps. If you fancy vanilla bean ice cream, replace the vanilla extract with the scrapings of two vanilla beans. To do so, carefully run a sharp paring knife down the length of each vanilla bean and scrape out the tiny specs on the inside of each bean. 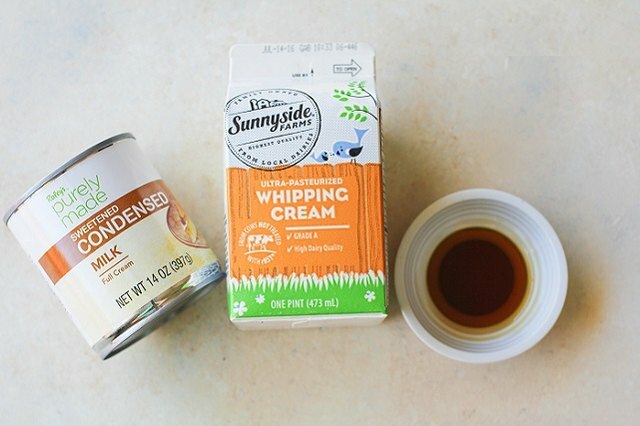 All you need for this super easy recipe is three basic ingredients. 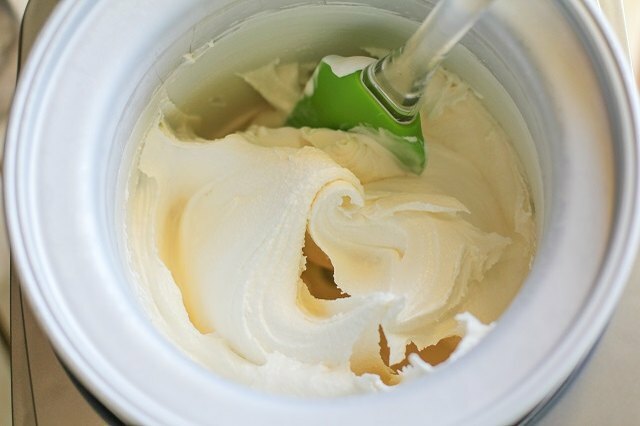 Before starting the recipe, place the bowl of your ice cream maker in the freezer and freeze overnight (unless your ice cream maker requires different instructions). Add all of the ingredients for the ice cream to a blender and blend well until completely smooth. 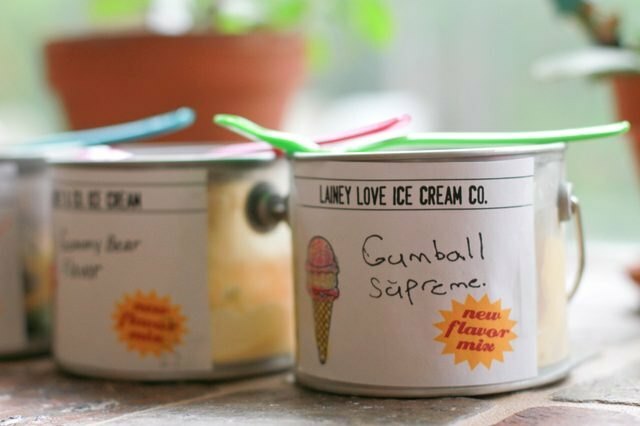 If you don't have an ice cream maker, skip to Step 4. Simply pour the ice cream base into a freezer-safe container, cover and freeze until solid, about 5 hours. 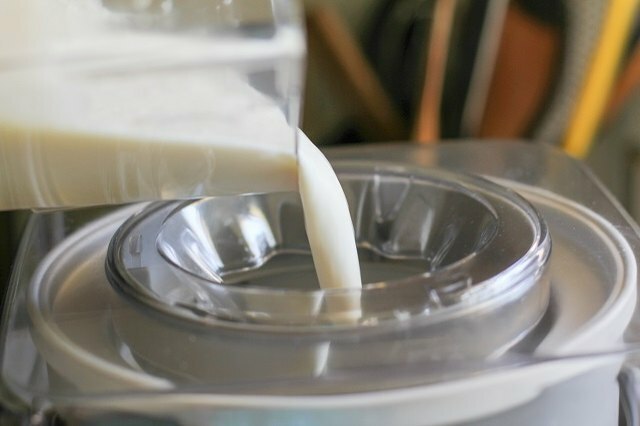 Note that if you make ice cream without an ice cream maker, it won't be quite as soft and airy as if you do use an ice cream maker. 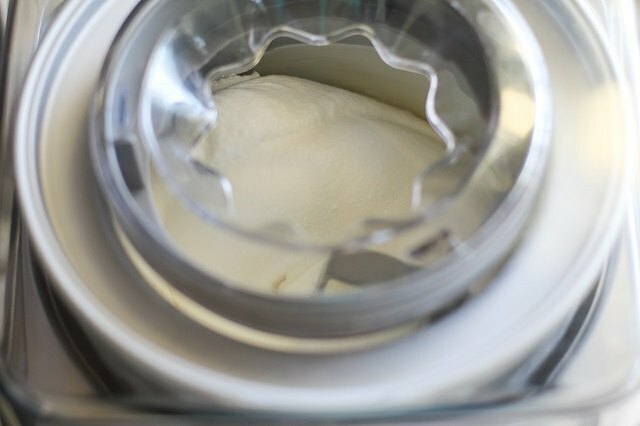 Remove the bowl of your ice cream maker from the freezer and place it in your ice cream maker. To ensure your ice cream turns out very thick and evenly frozen, you can refrigerate the ice cream base until chilled, about 2 hours. Pour the vanilla ice cream base into the ice cream maker and change the dial to the "on" setting. 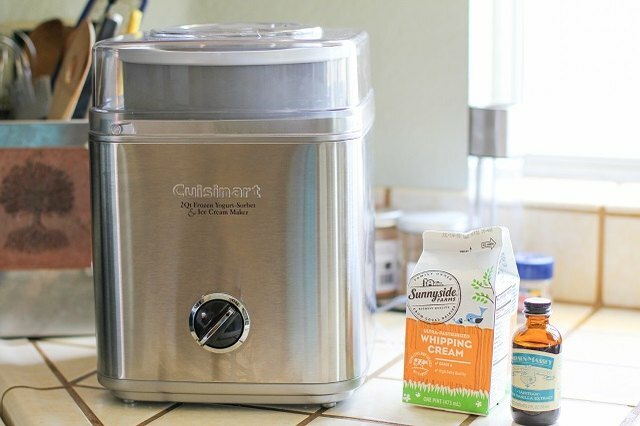 Allow the ice cream to churn according to the instructions on your ice cream maker. As the ice cream churns, air whips into it, making it fluffy while the bowl helps to freeze it. Churn until very thick and the ice cream maker begins to bog down. 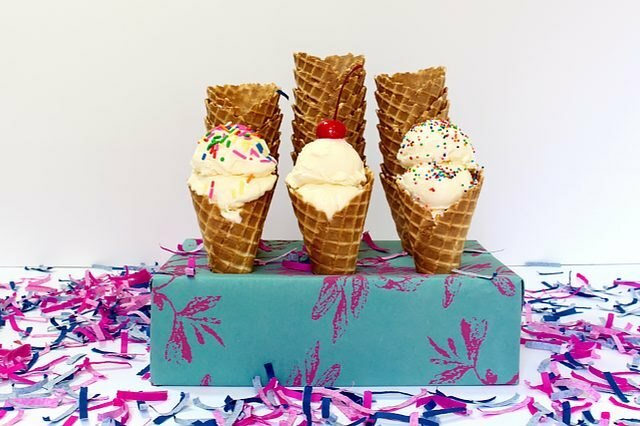 For most ice cream makers, this process will take between 35 and 45 minutes. Once the ice cream is very thick, remove the bowl from the ice cream maker. 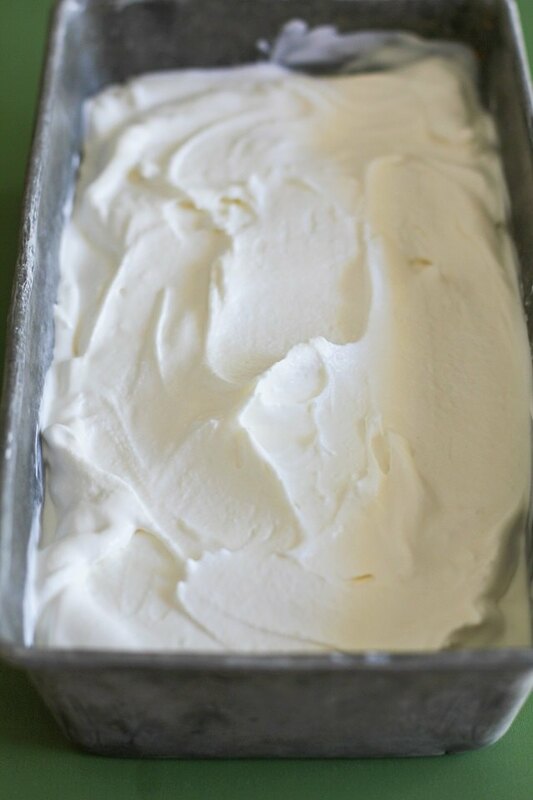 Transfer the ice cream to a freezer-safe container (loaf pans work well), and spread into an even layer. Cover with plastic wrap, and freeze until solid, about 3 hours. You can skip the freezing process and serve the ice cream immediately out of the ice cream maker for soft serve consistency. When ready to serve, remove the container of ice cream from the freezer, and thaw for 5 minutes. Scoop into bowls and serve with your favorite toppings, or serve alongside your favorite cobblers, crumbles, and chocolate cakes.